Got Dark Circles Under Those Eyes? Try this Amazing Eye Mask to Effectively Get Rid of them for Good! It’s that time of year, shopping, paying for shopping, stressing about shopping, the holidays, planning parties, gift-giving, etc. It’s really no wonder this time of year tends to lead to a lot of sleepless nights for many of us too, and unfortunately what comes from that, as well all know, is those ugly unsightly dark circles under the eyes! Yep, our eyes don’t lie. They are the gateway to the soul as they say, they give away your age, and they let people know when you’re not sleeping as much as you should be too. Luckily there is a great way to combat the tired, puffy, dark eyes while you sleep! The VIIcode O2M Mask makes it super simple to wake to refreshed, and give you wide-awake eyes that look like you’ve slept for 8 or 9 hours when maybe you only got 4 or 5 instead! These lovely gel-like textured eye masks couldn’t be any easier to use. Just pop them on before bed after cleansing your face, and remove when you wake! That’s it! You can wear them up to 8 hours too, for maximum results! The mask will continuously deliver product to your eyes while you sleep, allowing you to look refreshed, and more youthful come morning, even if the lack of sleep has not left you feeling quite that way yourself! To wear, just open up the individual packet, pull back the light membrane on the back of each mask, then apply underneath the eye. The eye masks are packed with antioxidants, vitamins, proteins, botanicals, peptides, and essential fatty acids, as well as ecological plant oxygen extracts which are extracted from natural herbal formula, to remove the dark circles, diminish the puffiness, and leave your sensitive skin around the eye area looking vibrant, youthful, refreshed, and brighter too! This incredible formula works to help activate memory cells, promoting cell metabolism, and also helps promote oxygen in the blood too, which of course is what helps leave you with these crazy-amazing skin benefits while using this fabulous eye mask! These oxygen eye masks are also incredibly soothing and cooling to use! They will be great in the summer time especially to keep you cool. I love how each time I use it, it makes me feel like I’m at the spa. The masks are thick yet feel lightweight on the skin so they don’t interrupt sleep. The gel-like consistency keeps the skin feeling cool and refreshed! The pads area also sticky enough they stay in place all night long, even if you tend to roll around in your sleep, but they won’t leave any residue behind when you remove them, and they are easy to take off when it comes time to remove. In fact, it hardly feels like peeling at all, they just come right off with no extra effort! 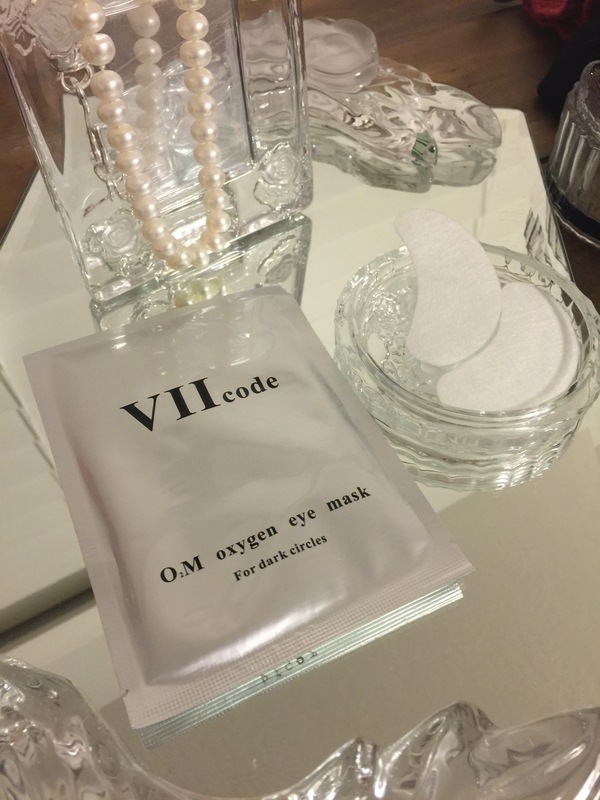 I’ve been trying out my fabulous VIIcode Oxygen Eye Masks over the last week and have absolutely loved using them! I wake to younger-looking, more vibrant, healthy skin, even if my Holiday Party organizing plans kept me up all night! I use them 2-3 nights a week for maximum benefit (Use 3 boxes for maximum course treatment). They are super comfortable to sleep in, they stay in place, yet are easy to remove when it comes time to take them off too. They make me feel like I’m relaxing at the spa when wearing them. I love how cool and refreshing it feels on the skin. My skin feels immediately softer and more supple after use. I wake to lovely wide-awake eyes that look happy, youthful, and have such a great radiance and glow to them too. My skin feels amazing after use and I usually find myself touching my under eye area a bunch after use, because of how incredibly smooth and soft my eye feels. They really do diminish the dark circles incredibly well! There are no dark circles in sight when you wake, just radiant, glowing, supple skin! Want to learn more about the eye mask from VIIcode? See my video review HERE. I’ve absolutely loved using these fabulous eye masks from VIIcode, and can’t wait to see what continued use of them does for my skin! I see such dramatic results in just one use! I love knowing that when I put them on at night, even if I know I won’t be getting my full 8 hours of sleep that night, my skin and eyes will never show it the next morning, because my VIIcode eye masks are delivering much-needed vitamins and nutrients to my skin all night while I sleep, to mimic a good 8 hours of sleep! 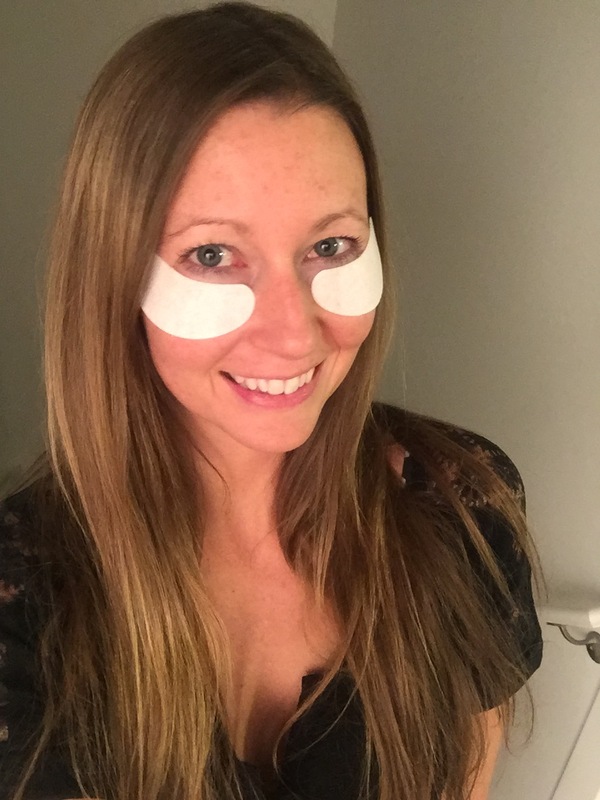 Interested in trying out this amazing eye mask product from VIIcode for yourself? You can shop it Here on Amazon. VIIcode masks are also vegan, cruelty-free, natural, safe for ALL skin types, and made right here in the USA too! Click This LINK to purchase! Heard amazing things about these ….